Hey guys! Sorry I've been MIA for a while. I've been neglecting all computer responsibilities and binging on One Tree Hill. Lazy much? 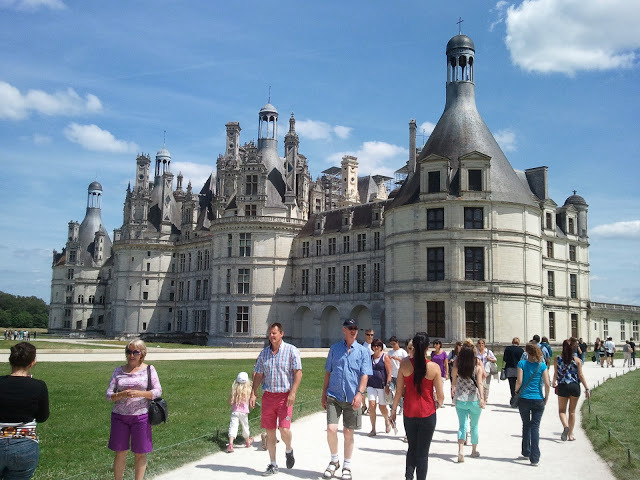 Anyway, I had a post last week telling you all about the first day we had in the Loire Valley so today I'm going to continue that and move on to day 2! Day 2 started super early with breakfast at the mansion we stayed at and then a ride to the river where we had a little boat ride. Let me state for the record that I'm absolutely terrified of water. It's the immensity and power of it and especially its ability to drown me. So here we are on this old boat halfway in the water just riding along the river learning about the history of it among other things. After awhile we came up to this gorgeous castle that extended over the river. It was beautiful in the morning. Absolutely gorgeous. 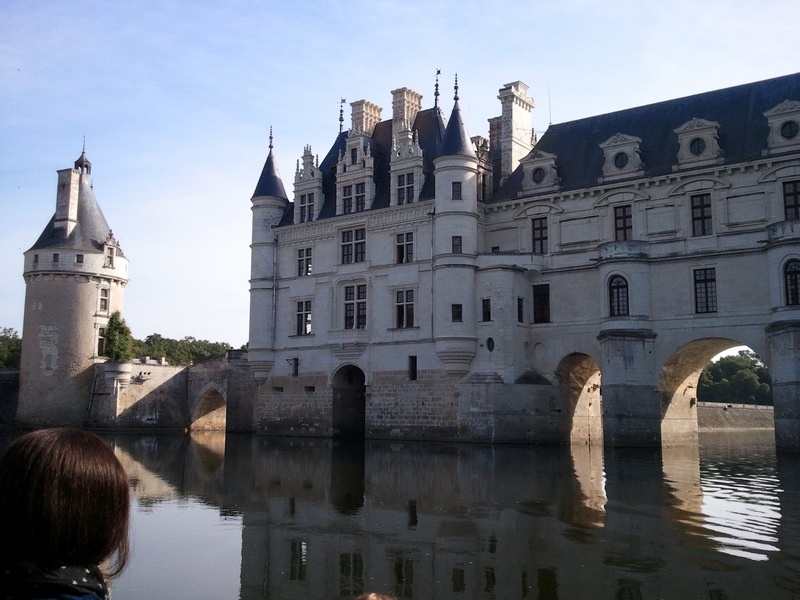 It was the Château de Chenonceau where many of the famous French royalty have stayed including Catherine de Medici. It was still pretty early which made the way the light hit the castle and the water perfect. It was almost like a fairy tale. I love how the image of the château reflected off of the water. After the boat cruise we actually went to the château where we got to go through it completely and explore the grounds. 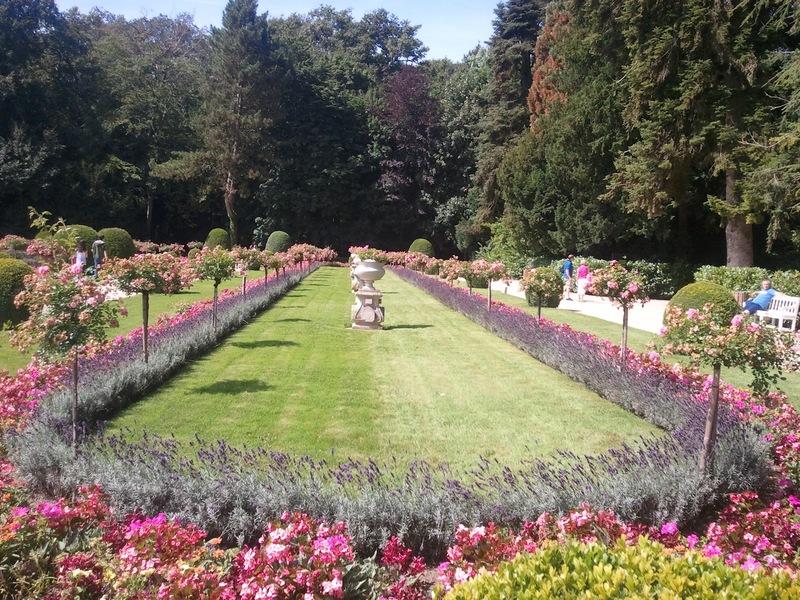 There were really pretty gardens and fountains. There was also a maze but I didn't make it to that one. I think my favorite part was the little tower off to the side. I think it was used for grain or something but it just reminds me of something that Rapunzel would have lived in. So I decided to call it Barbie Rapunzel's tower and it became a joke for the rest of the day. Our second and final stop in the Loire Valley was the Château de Chambord. Now if you would imagine a castle, this one would be it. It was the largest thing ever. It just amazes me how this was built in a time when they had no technology to compare to what we have now. Every detail in the staircases was done by and. And the height of this castle was amazing. How they were able to build that tall without a crane or some kind of device was amazing. And it's still standing! That's what amazes me the most. Through dozens of wars and some of the worst in history the last century, this is still standing along with hundreds of other châteaus. Imagine that. This trip I think was my favorite part of being in France. We all spent so much time together and got to know each other so well. Friendships were formed, others strengthened. It was an amazing experience. 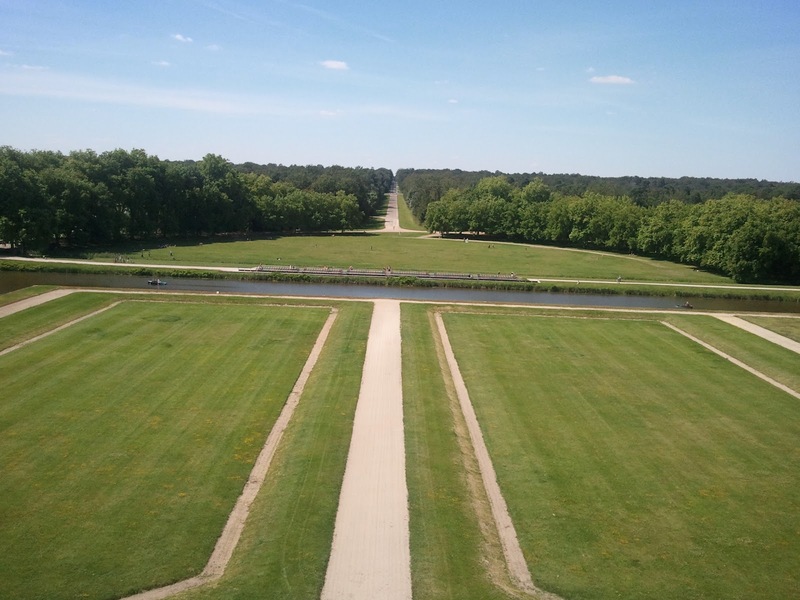 The only thing I regret is not being able to go to a winery while we were in the Loire. I feel that that would have been even more amazing. I will never forget this weekend and it is times like these that make me miss France the most. One day I'll go back and for more than a weekend.